At age 90, Sam still works 18 Hours a day in his business — “Master Purveyors” — and he sleeps 3 hours a night. Before reading Sam’s amazing book, I was sleeping 12 hours a day. Now, suddenly, I have cut that number in half and am back among the living. This Holocaust survivor’s extraordinary book is not only a riveting tale, which I could not put down — but it should also be required reading in every high school and college history class and, yes, every business class as well. In reading “Angel of the Ghetto” I may or may not have found God, but I have certainly found one of his angels. This is a really good book. I enjoyed the story a lot. The character was very interesting and his story was very interesting,. I highly recommend it. A fascinating insight into what life was like in the Polish ghettos under Nazi rule. An inspiring story of a young man who dared to dream, who was brave enough to successfully escape from a train headed to the horror of a Nazi concentration camp and who became a very successful man after the war. Riveting read. Highly recommend. Sam’s survival as a Jewish boy in the Nazi era in Germany. I could not put this book down. It tells of these children escaping the horrors oF the holocaust and existing without adults. Many lost their parents and some did not find them until the end of the war. It tells of Sam’s fight for survival and his help that he gave to others. Sam eventually formed a fighting group that overthrew some of the Nazis. It is really hard to believe these children, as well as adults, can exist under these conditions but they did. There was NO part I didn’t like. I looked forward to reading it every night. This was such an inspirational book. It’s a book everyone should read. Great glimpse into the life of an amazing man. He showed courage and strength and I was happy he met Rose and had the chance to have a great life! You pick this book and you can’t put it down. It’s amazing what your body and mind can go through and still maintaining the will to live. This book was recommended by my uncle who is Sams neighbor. I will pass this on to my children to read so these times are never forgotten. By now, much of the world has learned of the “ The Holocaust”, but we don’t know the history of each and every survivor. We should be thankful that Sam was able to share his own story, when so many could not. He did what he had to, in order to survive. As a youngster, he was quick-witted enough, to cope with the daily challenges of survival. With no family or friends to guide him, he was able to elude the Nazis and the local people, who could capture and get rewarded for turning him in. The Jewish language has a word that describes Sam’s ability to save himself, it is “Chutzpah”, by passing as a Christian, because of his appearance or to take the chance to jump off the train, on the way to Treblinka, he shows that he was meant to survive. These same “skills” helped Sam to move forward with his life after the war. He knew what he wanted to accomplish. He came to America, he met his wife. He grew his family and his business. He is immensely proud of his family and his work. He also shares his good fortune with his charitable support of many Jewish charities. More interesting, are visits to Bialystok and his work to re-establish the memory of the Jews who once lived there. Let us hope that a few more survivors can share their stories of survival, if not in writing, but by sharing their story with those near to them. We are losing them all! So many Holocaust survivors are gone, with more leaving us forever every single day. We are but one short moment away from living in a world where there is only hearsay testimony from their adult children and third-level reflections from their grandchildren. All of their descendents struggle, trying to do their best to express the realities of the Shoah and share with us what their parents or grandparents went through. For this reason, every memoir that comes out from a survivor is critically important. 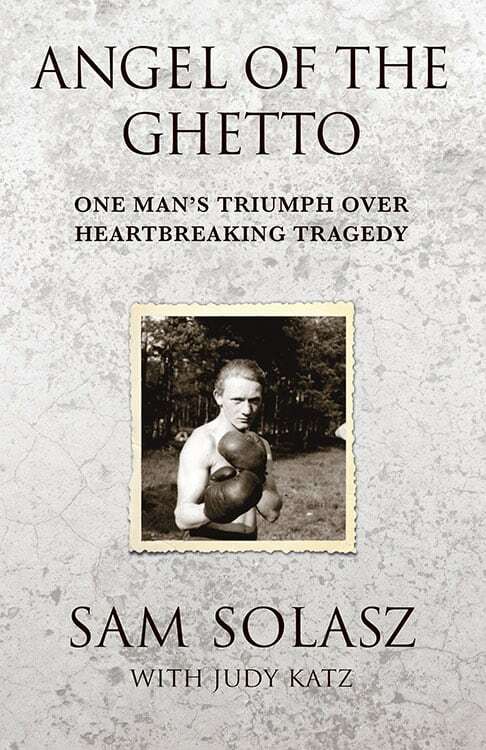 To my mind, few are as remarkable as Angel of the Ghetto by now 89-year- old Sam Solasz. Sam was literally the” angel of the ghetto” in Bialystok. In his book he candidly, and with rare detail, shares what he endured, and how, after losing his entire family, parents and 11 siblings included–and being one of only two people who ever escaped the Treblinka death train–he was able to come to this country on the ship the General Taylor with only $10 in his pocket, and create a remarkable multi-million dollar business. Having helped Sam tell his story over a span of two years and many tears, I can tell you that reading this book will both move and enrich you in more ways than I can count. This book gripped my interest and held it intensely until the last page. Sam’s story is filled with danger, courage, heartbreak, and, ultimately, triumph. You can’t help but fall for his kind voice, and feel inspired by his resourcefulness under the most dire circumstances. A must read for any fan of history, or anyone who believes in the American Dream.